We specialize in providing management services and IT consulting in Waterford, CT. Working with small and medium business, we pride ourselves in our proactive approach to technology. 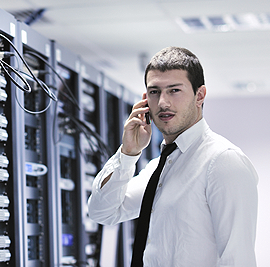 We offer complete business technology solutions to maximize the performance and security of your computer networks, phones, and messaging systems. Our service programs are designed to take into account your company's individual support requirements and IT budgets. "Charlie Hooper and the team at Dynamic Alliance have a way of setting things up so they just work."